Fantastic and super playable coin-op style action in this fast and furious cute platform romp! 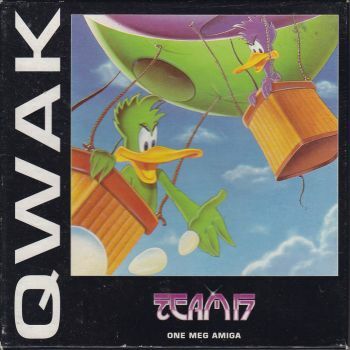 Join forces with a friend or go it alone with your little green duck and defeat the bad guys single handed. 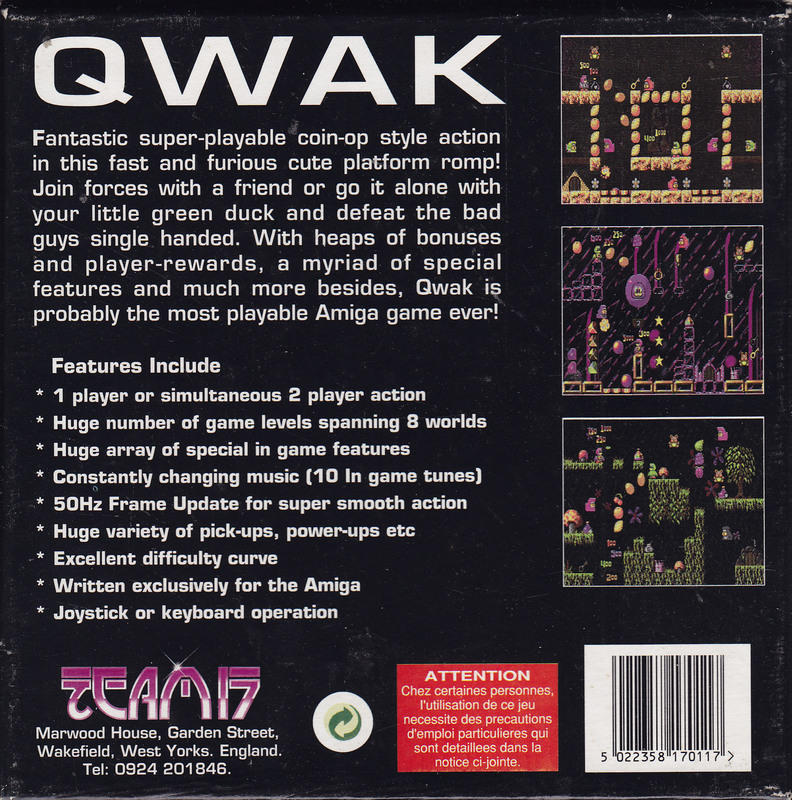 With heaps of bonuses and player-rewards, a myriad of special features and much more besides, Qwak is probably the most playable Amiga game ever! 1 player or simultaneous 2 player action. Huge number of game levels spanning 8 worlds. Huge array of special in game features. constantly changing music (10 in game tunes). 50Hz Frame update for super smooth action. Huge variety of pick-ups, power-ups etc. 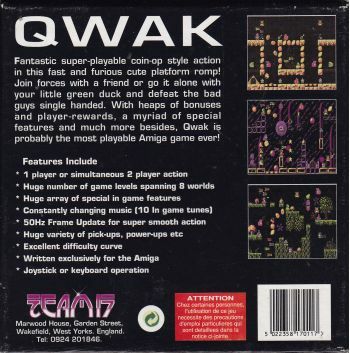 Written exclusively for the Amiga.